Yesterday was a day of hope, solidarity and light in the times of despair and darkness. 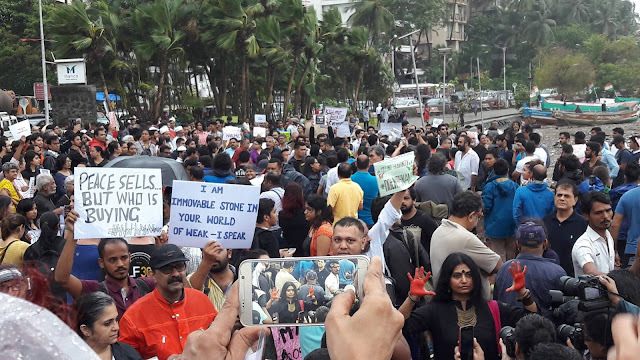 Yesterday, thousands of Indians came out on the streets in nineteen cities across the country and abroad to send out one, loud, clear message against communal violence and hatred. 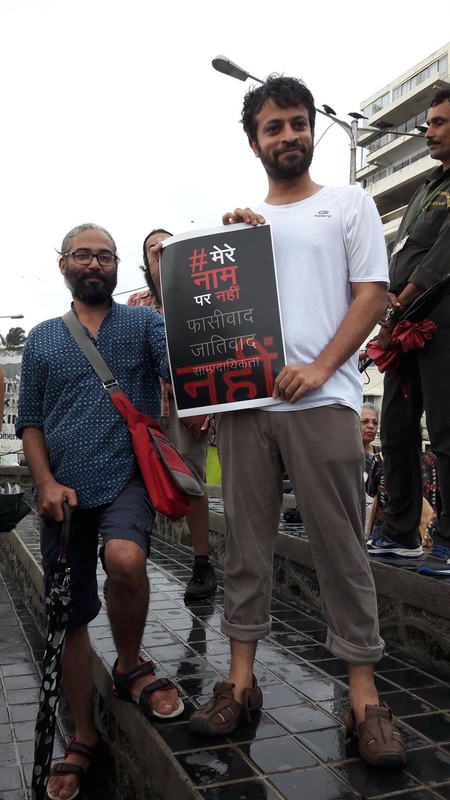 That we are not part of it, we do not support or endorse it and we will now have none of it. Thousands of men, women, children of all religions, castes, sexual orientations, ages, languages and regions came out on the streets of India for one cause. 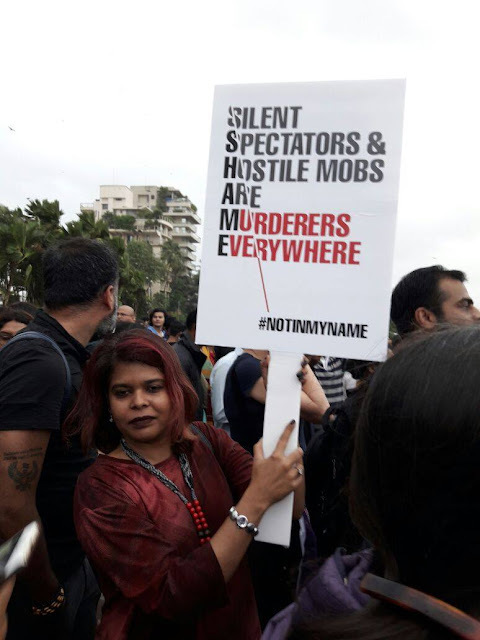 To say that no one should walk on the streets or travel in public transport or be in place of worship or in their own homes with the sense of fear looming over their heads. 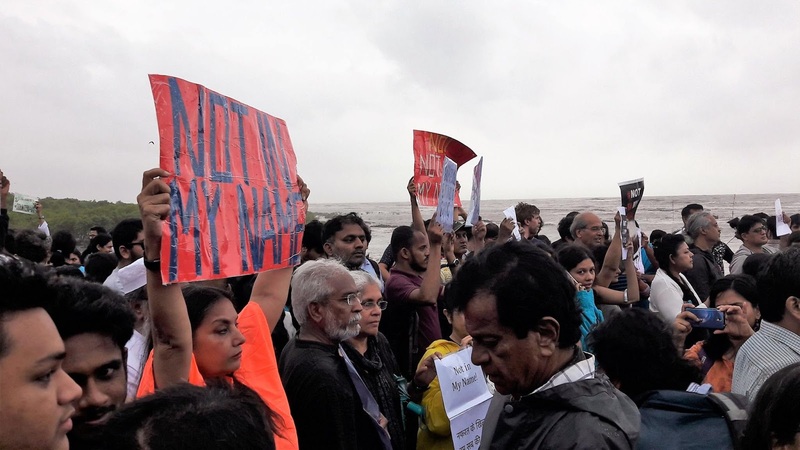 Yesterday, the words written by Shilpa Phadke, Sameera Khan and Shilpa Ranade , that, the complete reclamation of public spaces by women can happen only when the complete reclamation of public spaces can happen for ALL MINORITIES. Yes, yesterday, this understanding was as visceral as the blood flowing in my body. Yes, when a Muslim child is targetted and lynched by a mob in a train, when he lies on the platform with two hundred onlookers and no one comes to help, when a Muslim man is forced out of his own home and beaten to death for rumours over beef, when Muslim traders are murdered on the roads for transporting cattle, when such incidents are normalised and garner no response from the police, the politicians or the average Indian, then PUBLIC SPACES BECOME THE SCARIEST PLACE ON EARTH, FOR EVERYONE, INCLUDING WOMEN. Not just that, but recently, the demarcation between public and private has also been blurred by this mob. People are being pulled out of their homes and shot dead in front of their families. So then, which place is safe? 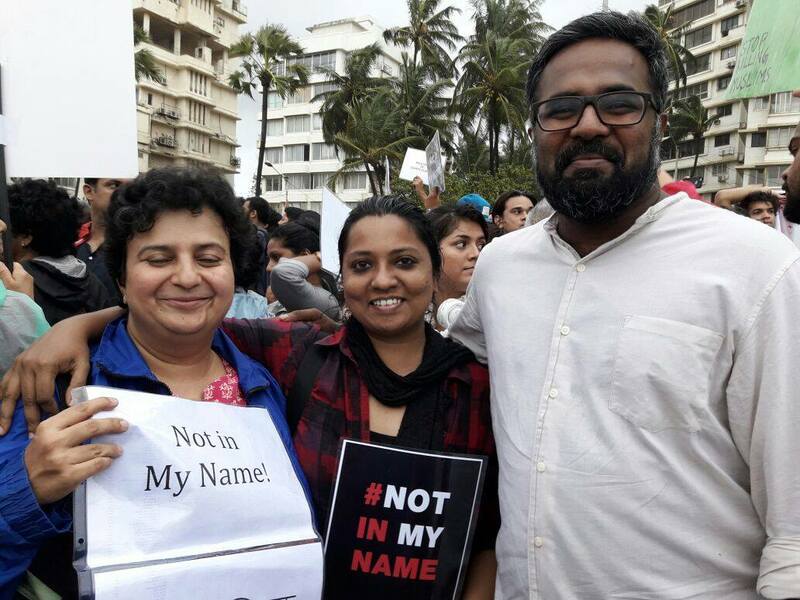 Will I live with the constant fear that when I am asleep in my bed, I can be pulled out because of my religion/my caste/my gender/or the food I eat and be beaten to death? 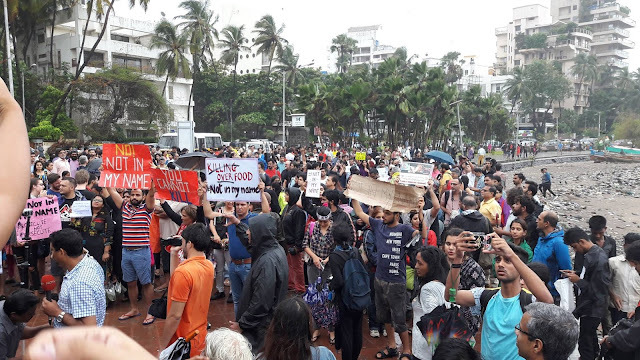 Yesterday was a revolutionary day, when we sang, shouted slogans, held hands, put up placards, braved the torrential rains and came together in one voice to protest the fear that surrounds us all. 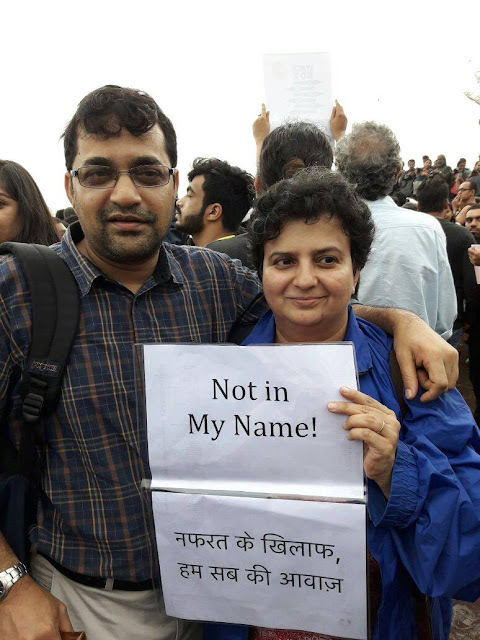 We were in a public space, fighting for our right to live without fear, travel without fear, eat what we want to eat, without fear, wear what we want to wear, say what we want to say, and be who we want to be. For a lot of people the fear is recent, but women have lived and operated with this fear for as long as we have been alive (or even before we are born). The fear of being raped, attacked, killed or beaten. 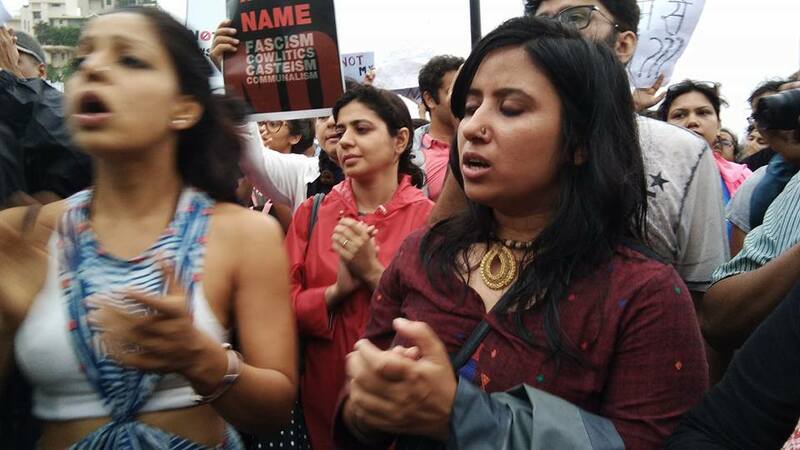 For women the fear looms in public as well as private space, twenty four hours, everyday of the week. 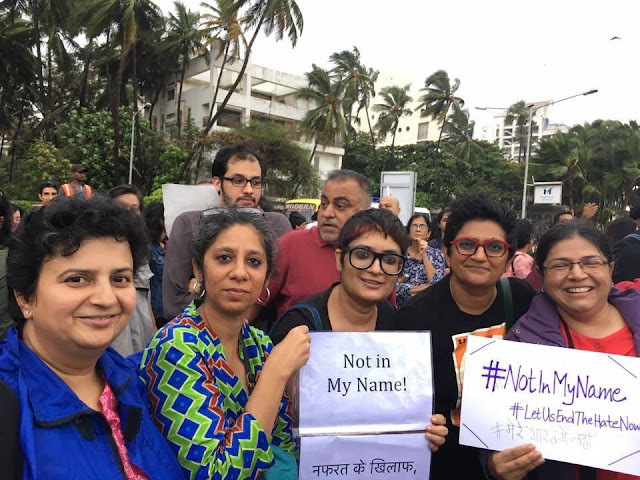 Yesterday, there were thousands of women supporting and fighting for the fundamental right to live for everyone, INCLUDING THEMSELVES. 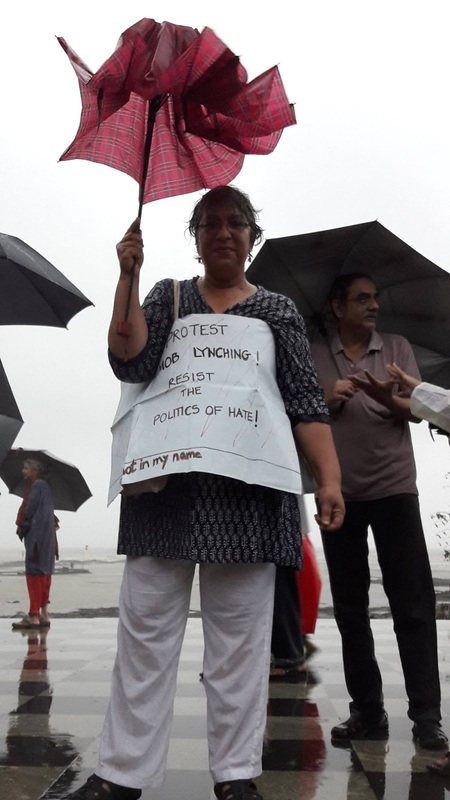 The malice and hatred that is being perpetrated through the mobs and the religious groups against individuals of religious minorities and dalits, women have faced and lived with that hatred and malice for their entire lives, sometimes protesting, sometimes supported by large groups, but mostly just dealing with it in whichever way they can on a day to day basis, or complying to the rules of patrairchy. I think women understand the fear and pain of the communities being targetted so well, because we are all part of the population that is hated. We are all a part of the population that has had to struggle to just exist. 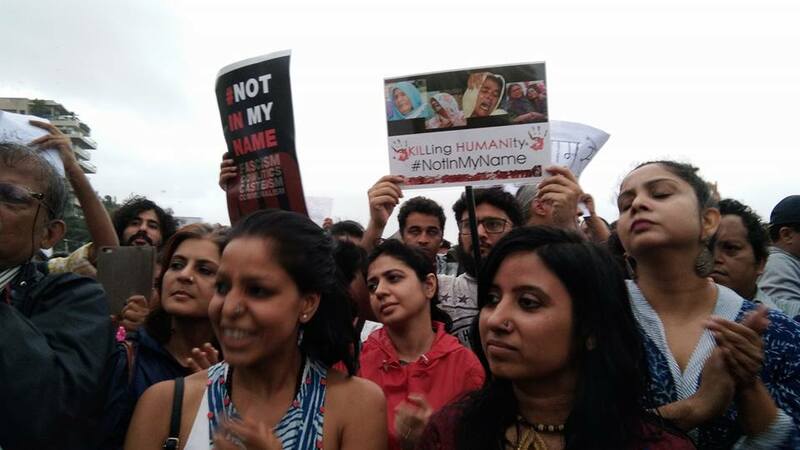 Yesterday, women, who have faced this constant threat to their lives simply for being female, found an equivocal voice in the protest that said #notinmyname. Stop hating, stop beating, stop killing. ANYONE, including women. 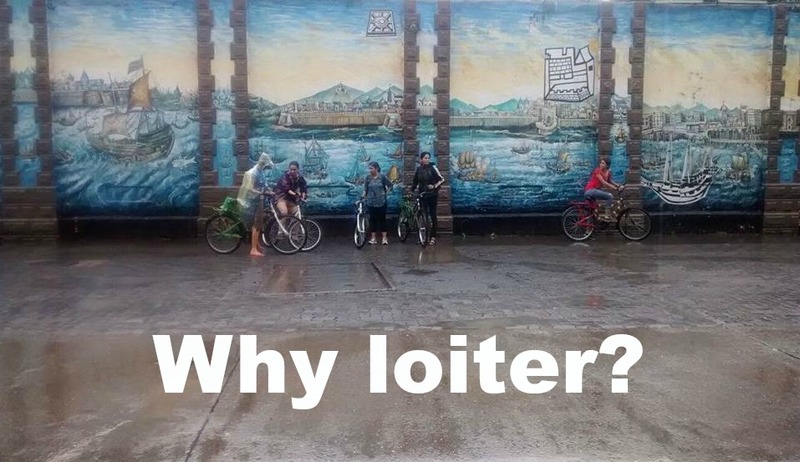 The words of the book Why loiter? 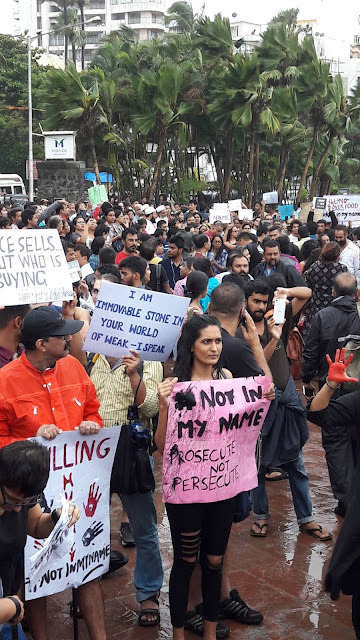 rang true yesterday on Carter Road, in the company of hundreds of men, women and children , that public space (and home) can be completely free of threat and fear for women only when public spaces (and home) is completely free of threat and fear for ALL. Yesterday I sang and shouted and protested for the right of live without fear, for everyone, including, and also for myself. 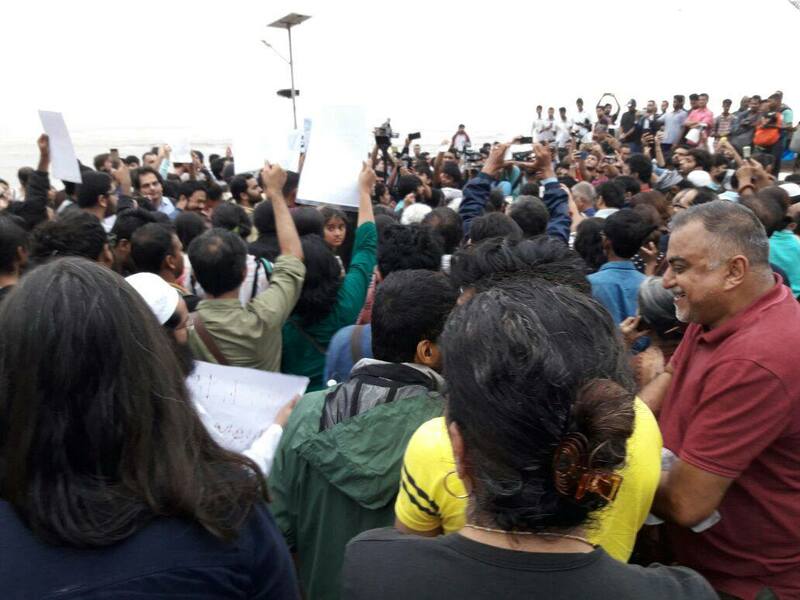 I hope that such protests, such anger, such hope and solidarity stays strong when the victims in question are religious, caste, language based minorities, the poor, the disabled, the LGBTQ or simply, women. Quite a nice piece to put in a backyard. Very cheerful!